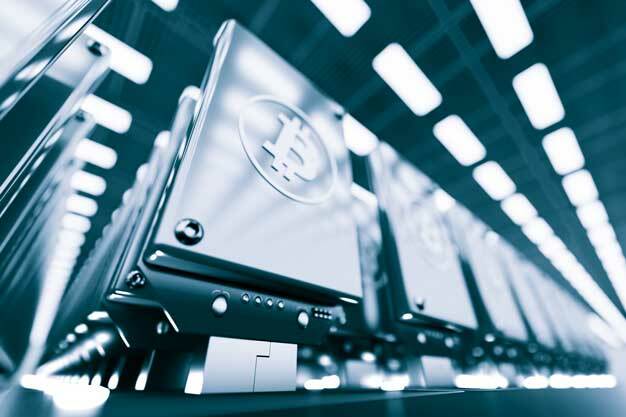 In a Nutshell: With the introduction of the blockchain concept in 2008, companies have grappled with how cryptocurrency and distributed ledger technology fit into the finance industry. 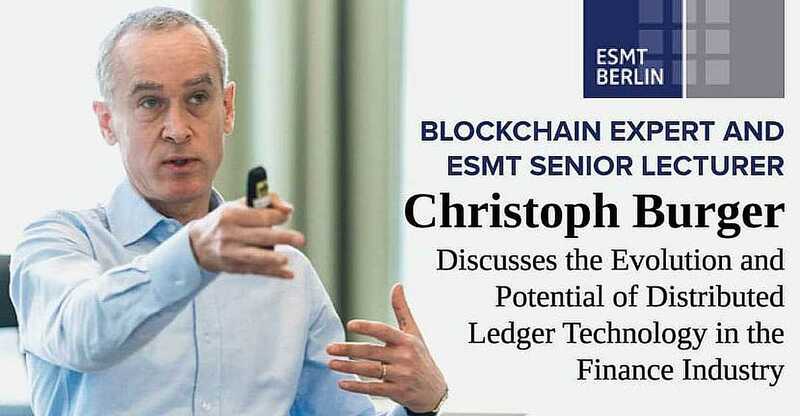 We sat down with blockchain expert and European School of Management and Technology Senior Lecturer Christoph Burger to discuss the evolution of blockchain and its potential. Burger said the technology will be most beneficial for customers as interoperability is applied in the finance world. And, while some experts have raised concerns about the massive energy consumed by the blockchain, Burger said he is less worried because the industry players will be forced to resolve the problem sooner than later. Finally, Burger discussed how ESMT’s courses are educating students, executives, and companies in blockchain technology. With the release of the Bitcoin white paper in 2008, what began as a proposal for a peer-to-peer system for transferring electronic cash has led to a decentralized ecosystem of cryptocurrency, technological advances, and countless startups. While cryptocurrency stars in most of the attention-grabbing headlines, its underpinning blockchain technology is the sleek engine under the hood that makes everything go. And cryptocurrency is only one application of blockchain technology. A 2018 Guardian article highlighted how blockchain tech is being used in voting, power generation, music streaming, and healthcare. But some experts posit that blockchain is the more important concept to come out of the Bitcoin paper. We sat down with blockchain expert Christoph Burger to discuss the evolution of blockchain technology and its potential uses in the world of finance. Burger is a Senior Lecturer at the European School of Management and Technology (ESMT Berlin). The institution — a state-accredited private business school — was founded in 2002 by 25 leading German corporations and organizations. While it may sound very techy and futuristic to newcomers, the concept behind blockchain technology is more straightforward than it may initially seem. Put simply, it refers to a virtual chain of blocks, with each block containing a record of transactions. The completed blocks are connected — or chained together. The chain of blocks serves as a public, decentralized ledger that cannot be altered or erased. 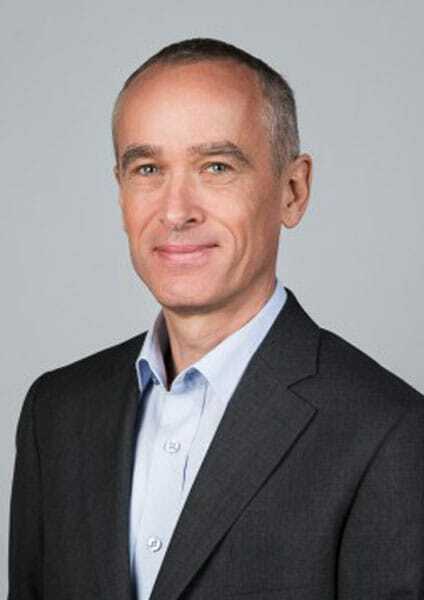 Christoph Burger is a blockchain expert and Senior Lecturer at European School of Management and Technology in Berlin. The immutable nature of blockchain is essential to digital currencies because it prevents the same currency being spent over and over again. “There was some groundwork laid before the Bitcoin whitepaper but you can say it really began there because that’s when the idea became more public,” Burger said. The timing for Bitcoin and blockchain was ideal for the concepts to grab attention in the financial world. In 2010, Bitcoin saw its first surge of attention in the general public when a programmer purchased two large Papa John’s pizzas for 10,000 Bitcoin, Burger said. Then, in 2013, the Ethereum white paper was released, which built on Bitcoin’s technology by adding the possibility to create smart contracts. Most cryptocurrency today relies on the Ethereum blockchain network. Burger said that, in recent years, a number of companies and technologies have challenged the original platforms. He said customers using the technology tend to be more trusting of a consortium system, as opposed to the original distributed ledger technology system, where it isn’t always clear who is validating transactions. “In the end, we will see which one of these technologies will succeed,” Burger said. In the finance world, Burger said banks are beginning to use blockchain technology for applications, including to issue debt certificates and to raise money in ICOs. He said a number of companies are working on developing such solutions such as Hyperledger with Interledger or Parity with Polkado. “The goal is to enable a seemless distributed ledger technology network,” Burger said. With the potential applications of blockchain technology, an evolving decentralized financial ecosystem, and the rewards that come from mining cryptocurrency, the world of blockchain and cryptocurrency can seem pretty exciting. But there is a downside. The high energy consumption issue will be resolved among blockchain players, Burger said. Mining digital currencies and powering the blockchain of Bitcoin, Ethereum, and other cryptocurrencies consumes massive amounts of energy. In July 2018, The Economist estimated that the energy being consumed by Bitcoin was approximately the same as the level of energy consumed by the whole country of Ireland. This is a well-documented problem and a big argument against cryptocurrency for some. So, should we be alarmed about the long-term sustainability of blockchain applications? He said a number of techniques have been — and are being — tested to reduce energy consumption levels. “They are trying to solve it with renewable energy generation — that’s one part,” Burger said. “They’ve also looked at solving it by shifting proof of work to proof of stake or proof of authority.” He added that there have also been attempts to address the issue by using off-chain protocols and sharding as well. Burger said that he began to familiarize himself with blockchain technology and its associated issues in 2015 and quickly began conducting research on the topic. In addition to his role as a Senior Lecturer at ESMT Berlin, Burger is also a member of the Blockchain Association of Germany. He is also involved in research for the German Ministry of Economics where the research team is exploring how to set up a blockchain-based energy trading platform. Burger’s ESMT courses explore blockchain technology fundamentals and its application in the real world. At ESMT Berlin, Burger’s main focus is also on blockchain. He said the blockchain sessions are also frequently part of customized executive education programs the school conducts for companies to help prepare them for digitalization issues. Next, he said they examine the value added by blockchain startups and how they compare in functionality and cost to current technologies. “We also have discussions on getting people involved in blockchain for funding issues and cryptocurrency trading,” Burger said. He said that, based on his research, he teaches that the blockchain use can be segmented into two groups. One group uses blockchain to reduce process costs while the other uses the technology to set up new platforms. “In the new platform scenario, the question becomes what players are you going to be bringing into this process for setting up the platform and for the platform’s functionality,” he said. He said the incumbents in the field, including Bitcoin, Ethereum, and possibly Ripple, have a good chance of being among the enduring players. He said that even if challengers have superior technology, it doesn’t mean they will prevail in the end.